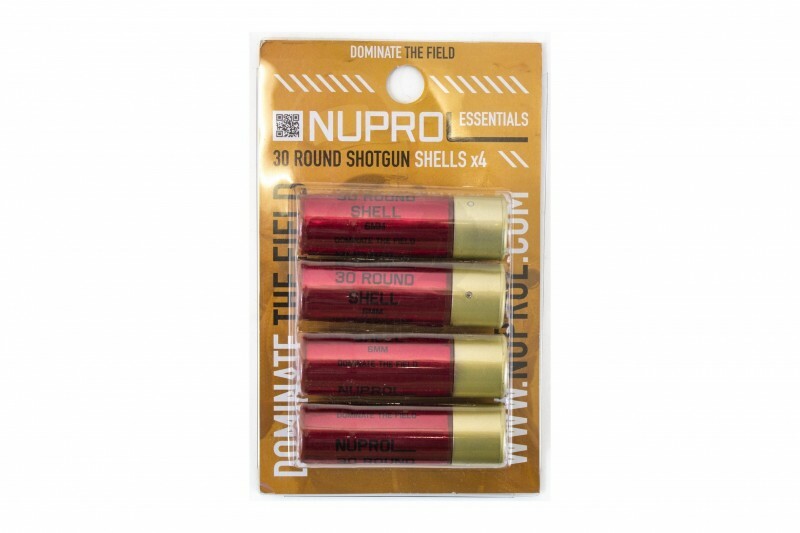 4 pack of spring shotgun shells. Compatible with most spring/gas shotguns which use shotgun shell magazines. Each shell holds 30 BB's.